Explore Daoist cosmology, numerology, and sacred geometry through the practice of a very old and rare style of Ba Gua known as Chun Yang Ba Bu (Pure Yang Eight Step), also known as Long Xin Zhang, “Dragon Heart Palm”. This style is currently only taught in its entirety at the Five Immortals Temple in China via a lineage which stretches back one thousand years to Lu Dong Bin in the Tang Dynasty. Passing through, connecting and winding movements, yin and yang mutually exchanging, the eight trigrams turn. The dragon swims in the ocean and the heavens. The body and the stepping are light and graceful. Its stepping method has a route, treading on the Tai Ji Yin-Yang five elements eight trigrams diagram. Its shape and pattern is elegant and floating, its appearance likened to a flying immortal. 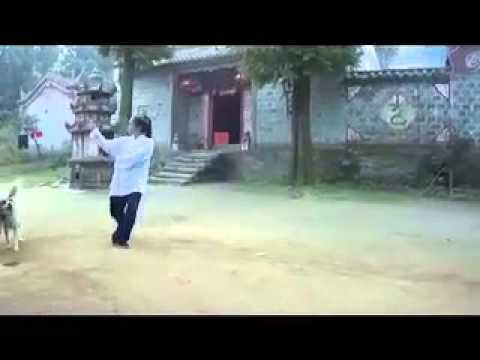 Click on the image below to watch Lindsey, 24th Generation Chun Yang Sect Practitioner, training in the old style of Ba Gua known as Ba Bu (eight step), Wudang sword, and Chun Yang Da Gong in front of Five Immortals Temple, Wudang, China.